BrassNeck Theatre are planning a real feast of family fun when they present The Addams Family musical at Yeadon Town Hall next month. So much so that they have ditched their traditional Saturday night 7.30pm for a 5pm show to allow for families to attend. 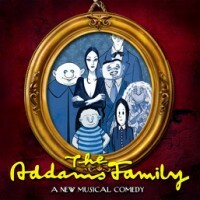 The show, which opened on Broadway to rave reviews is based on the family of characters created by cartoonist Charles Addams, including parents Morticia and Gomez, children Wednesday and Pugsley, Uncle Fester, Cousin Itt and butler Lurch. The musical features an original story, and it’s every father’s nightmare. Wednesday Addams, the ultimate princess of darkness, has grown up and fallen in love with a sweet, smart young man from a respectable family. A man her parents have never met. And if that weren’t upsetting enough, she confides in her father and begs him not to tell her mother. Now, Gomez Addams must do something he’s never done before — keep a secret from his beloved wife, Morticia. Everything will change for the whole family on the fateful night they host a dinner for Wednesday’s “normal” boyfriend and his parents. The Addams Family runs at Yeadon Town Hall from Wednesday 11th to Saturday 14th Nov. Shows times are: 7.30pm Wednesday to Friday and 1pm and 5pm on Saturday. Why not join the family for some post Halloween fun. Tickets are selling fast so call the BrassNeck box office on 0113 2505011 or book online.